This longhouse is as old as five generations. It is believed that our ancestors first settled at the foot of Mount Penrissen and later moved downward to four hill-tops. The choice of setting on higher ground was meant for security reason because in those days head hunting activity was widely practice in Sarawak. Our guestroom is basic, just exactly like our own bedroom, if not better. We make every effort to make sure that they are always clean, cosy & comfortable place for you to overnight during your stay. We also ensure that everything are prepared & put in place before you come in for a rest or sleep. Our guestrooms come with mosquito netting, cooling fan(s), comfortable mattress, blanket, pillow, wardrobe & etc. We are lucky enough to have a hot spring nearby at our longhouse. 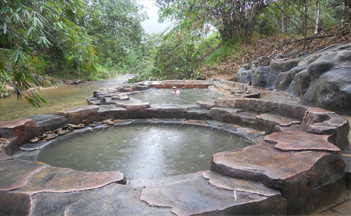 It is located in the middle of the jungle, & you can soak into it while enjoying the beauty of the jungle. You will need a short jungle trekking through a few gardens, farms, hills and also Bamboo Bridge to reach this natural spa. Our guide will bring you to this wonderful place for you to enjoy the beauty of nature, just lie down & relax, swim, or you can even try a waterfall massage. The water is cold & crystal clear, & you will just love it. 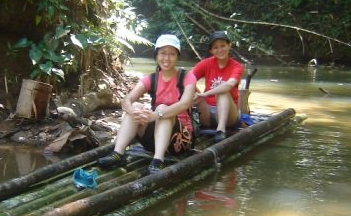 Learn how to build a bamboo raft and go for spear fishing or casting with it. Our guide will show you how to build the raft with Bamboos found in the jungle & also the essential rafting techniques too before you will do the rafting. 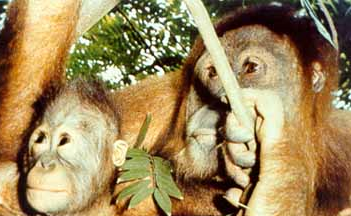 Semengoh Wildlife Rehabilitation Centre is half an hour drive from Kuching and was established in 1975 for the rehabilitation of confiscated and surrendered wild animals. It is located about 20 km south of Kuching and is situated within the beautiful Semengoh Nature Reserve. This is a temporary home for various endangered wildlife of Sarawak, especially Orang Utans that were rescued from captivity and hornbills. Semengoh Wildlife Rehabilitation Centre has received 915 animals up to 1999. The journey to Annah Rais longhouse from Kuching will take approximately 1 and the half hour drive. Although the transfer duration is pretty long, you will be amazed by the scenic countryside view, beautiful mountain range, limestone hill, paddy field, palm oil plantation estate & etc. 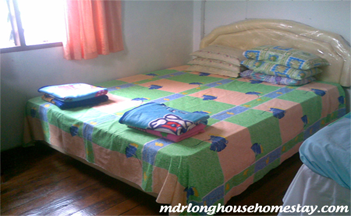 Feel free to contact the homestay operator, Mdm. Macheree/Mr. 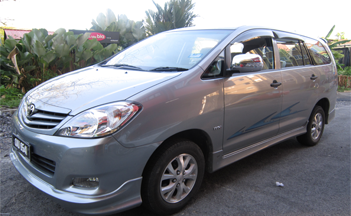 Ringin (mobile no.0168566128/0198175229) at least 2 days in advanced to arrange for your transfer. Annah Rais is located about 60km from Kuching City. It is situated on both banks of Sarawak River. 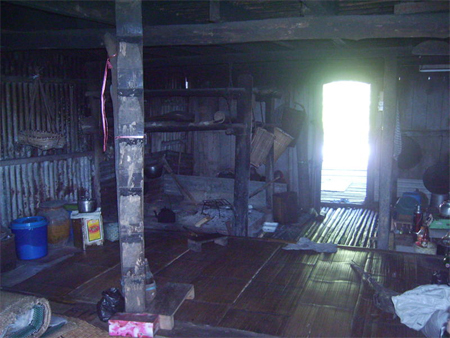 The longhouse itself consists of about 80 doors, while the remaining of about 70 units are scattered single houses. Estimated around 1000 populations of the longhouse folks live harmoniously under the leadership of a headman/ chief (Ketua Kaum). About 60% of the populations are farmers. They plant padi, pepper, rubber and other cash crops. Another 40% moved to cities for career-call in government departments and private sectors. When the White Rajah or the Englishman named James Brooke came and ruled Sarawak in the early 19th century, peace was gradually installed. This enable our ancestors to move down from mountain and hill-tops and settled here in what is known now as Annah Rais Longhouse. 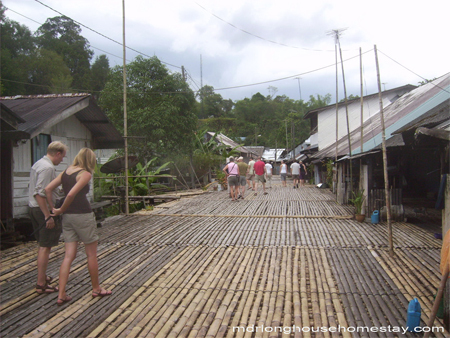 Come and visit us if only you would like to know more about the life styles and cultures of the longhouse inhabitants. Join the home stay programs because it will enable you to experience the real life styles of the village folks. Join us with gardening, farming, hunting and fishing. Finally, go for jungle trekking in order to see for yourself the beauty of our tropical rainforest and a few stunning waterfalls. For your information, your stay here will be fully occupied with many guided tours and activities. We hope that you will enjoy your stay with us because we love to see our guest’s smile and we do our best to make you smile by satisfying you with the great experiences during your holidays with us. Transportation, accommodation, meals, beverages, activities & tours, laundry, wine tasting, loan of traditional costumes and loan of jungle tools. 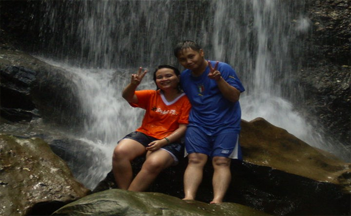 * You can choose any of the above Homestay Day Activity during your stay. * Any package booked will include Guided Longhouse Tour and Traditional Cultural show on your first day stay.